Masks (topeng) are used by various ethnic groups throughout the Indonesian archipelago. 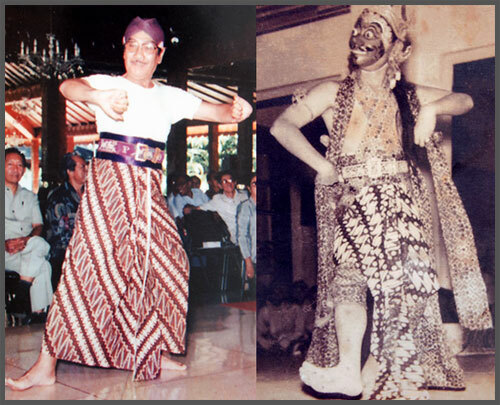 In Java, dancers wear masks to represent characters from traditional narratives derived from the ancient Hindu epics and accompanied by gamelan music. In Bali, stories are taken from ancient Javanese as well as local legends and accompanied by Balinese-style gamelan. Masks from Java and Bali are made of wood with painted details and frequently fitted with real hair, gold leaf and/or semi-precious stones. Such masks are usually held in the teeth by means of a strap of leather fastened to the inside. In other, more tribal cultures in the areas of north Sumatra, Indonesian Borneo (Kalimantan) and Timor, masks were used to acquire power, seek blessings for harvests, appeal for protection from evil spirits, prevent and to cure disease and safeguard against calamities. The masks in the East Indies Museum are primarily from Java and Bali although we hope to eventually add examples from other areas.